Visit, Explore and Experience South Africa's very first world heritage site, St Lucia. Experience the most popular Tour while in St Lucia the Hippo & Croc Boat Cruise at Sunset. Enjoy the the wonderful commentary and truly up close encounters of Hippos and Nile Crocodiles not to mention the abundance of birdlife on this the largest estuarine system in South Africa. All accommodation booked is on a bed and breakfast basis. Book a minimum stay of two nights At Heritage House during the month of March 2019 and receive a discounted rate of 20% including two tickets on the Shoreline Boat Cruise. 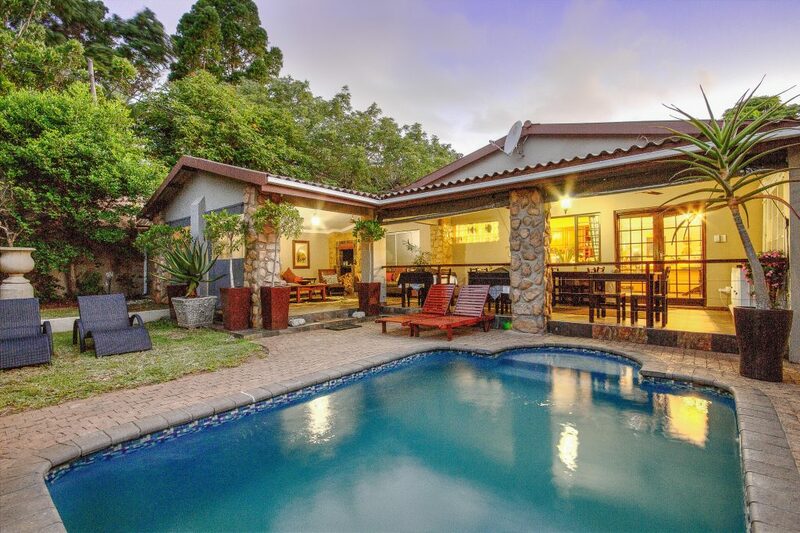 At Heritage House Guesthouse, is centrally situated within St Lucia and within walking distance to town (2 minute walk).The Guesthouse offers Tropical garden's, outdoor lounge area with splash pool. At Heritage House offers 5 superbly decorated rooms all air conditioned with complimentary wifi. "We stayed at Heritage House during our 3 night 4 day safari through Heritage Tours. Everything about Heritage House we loved. It was so cozy and cute. Thea made us feel right at home. The breakfast spread (and service) was amazing." "We had 6 nights @Heritage House which is just a one minute away from the main street of St Lucia. We had a very comfy room with air con, tea and coffee making facilities and a large bathroom. Good selection at breakfast time with lovely fresh fruit and delicious home baking.…"
"We had an amazing two night stay at @Heritage House in St. Lucia during our recent trip to South Africa and Mozambique. Our group of seven included four parents and three teenage girls. The three rooms that were prepared for us were well appointed, large and very comfortable.…"